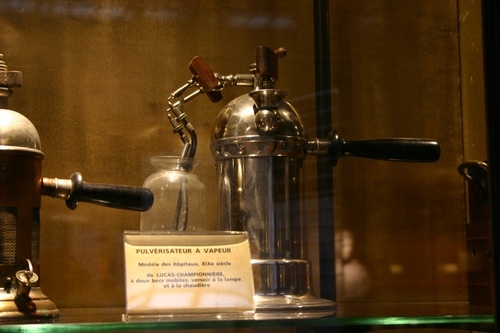 This model of a steam sprayer for antiseptic surgical procedures was devised in the late 19th Century by French surgeon Just Lucas-Championnière. It can be seen in a showcase of the Musée d'Histoire de la Médecine of the Université Paris Descartes, Paris. It was used at that time in the Paris hospitals.